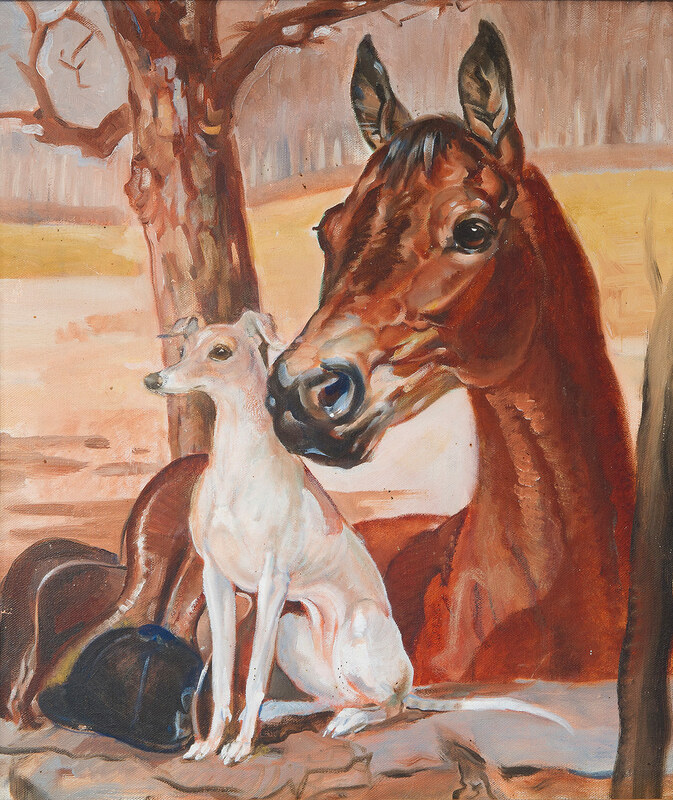 Beverley Sanford McConnell: Portraits in Poetry pays tribute to the champion equitation rider, horse trainer, riding instructor, and Middleburg-area resident Beverley Sanford McConnell (1919 –2013). McConnell was also a painter, sculptor, and poet for her personal enrichment. She began her training at the Grand Central School of Art in New York City, where she was awarded a medal for line drawing at the age of 14, and continued her studies at the Art Students’ League of New York for three years. Even though the budding artist showed talent at an early age, her family notes that she was too shy to pursue a career in the arts. McConnell, however, left behind a personal and endearing body of work that echoes her love of horses and ponies. Portraits in Poetry: A Little Horse Book of paintings, drawings, and poetry by Beverley McConnell, compiled in 2012 by Beverley Bryant to document her mother’s work, was the impetus for the exhibition that is being presented in the Library’s Forrest E. Mars, Sr. Exhibit Hall.